Raising awareness of aquifer recharge areas, such as wetlands and sinkholes. Promoting the ecologically sound uses of our rivers, lakes, streams, and forests. Supporting agricultural practices that enhance and protect natural systems. Protecting and preserving the natural environment while developing ecotourism. Using the Division of Administrative Hearing process, local government regulations and actions, and the courts to ensure Bradford County’s natural systems are protected. 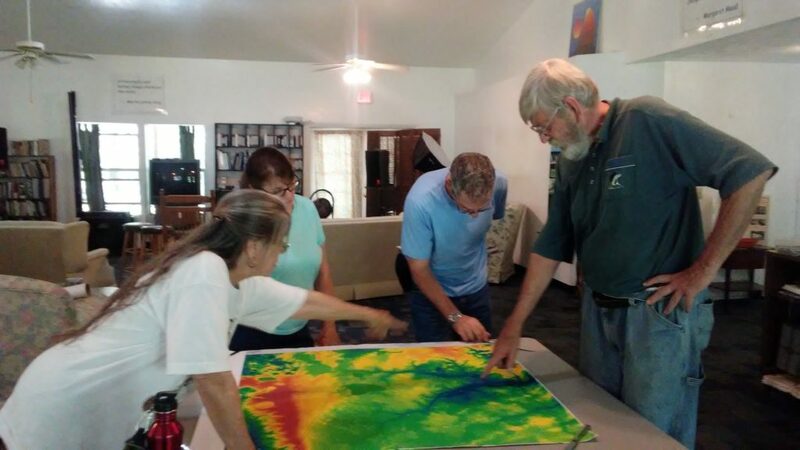 BEF plans to hold regular forums, once a month on the second Saturday, to inform the public about the immense natural resources and opportunities our area has to offer. 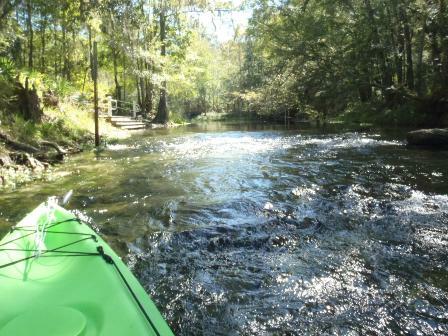 The Bradford County Development Authority and the Regional Chamber of Commerce noted in a presentation to the public at the end of November that our natural resources are a strength, leading to ecotourism opportunities from kayaking and biking to birding and fishing. BEF works closely with Bridges Across Borders, a 501(c)(3) nonprofit organization formed in Bradford County 15 years ago. BAB has a collaborative relationship with the UF Work Study program and currently has three talented and motivated student employees who can help both organizations become more visible in our community. 02/16/2019: The phosphate mining issue is entering a crucial period in Bradford County. The consultants (OEC) hired by the county commission to help them figure out what to do with the application (MMP) of HPSII seem to be stalling with their final report. Their hydrologist, Peter Schreuder, finished his analysis months ago, and it was NOT favorable. Now, OEC wants to see if Bradford County will alter the existing contract to add an additional $12,500, letting HPS submit more details to Schreuder after the fact in hopes of a better report to the BCC. We say NO. Meanwhile, HPS plans to submit an actual (not DRAFT this time) application within a month. We will be watching and communicating developments in this crucial time. BEF will host a walk-along on the Rail Trail in Sampson City, Starke. We will meet on the bridge at 1:00 pm and walk toward Lake Butler for 45 minutes before returning to Sampson City. April 20th 11:OO A.M. – 6:00 P.M.
Join us for a day of fun and adventure on Saturday, April 20th as we appreciate our lovely New River and celebrate the upcoming holidays of Earth Day and Easter. The event will consist of many EGGciting activities— canoeing and kayaking on the New River, kids’ activities including a giant egg piñata, an educational presentation and a spaghetti dinner. The day will culminate in raffles, prizes, and community spirit. Bring your kayak or canoe, and put in nearby. Detailed flyer to follow. Co-sponsored by: Bradford Environmental Forum, Bridges Across Borders, Our Santa Fe River, Suwannee St. Johns Chapter Sierra Club.